A discreet bourgeois house with bags of charm. 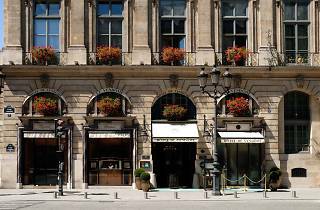 Place Vendôme, a fiefdom of Parisian luxury, the bling-bling jewellery area and home to many of the city’s five-star hotels; the Ritz hotel, the Mandarin Oriental and the Hotel Costes, which is the ultimate celebrity haunt. But that’s not all – there’s one that is harder to find. 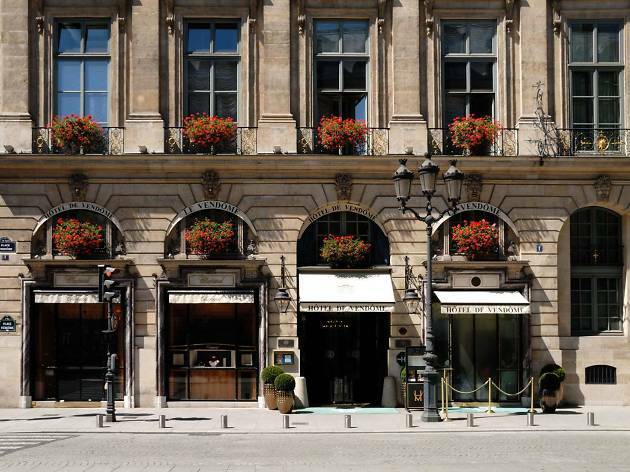 Its frontage is discreet and housed in a building dating back to 1685, you’ll find a bourgeois house with bags of charm. The lobby is all varnished wood and marble-clad and the 29 rooms and suites are just the same. Take the Deluxe suite for example, overlooking rue Saint-Honoré, it is a vision of sky blue and pale pink with a period chandelier hanging over the king-size bed, while an entirely marble bathroom is the cherry on top of this super-luxe arrangement. Don’t miss the gourmet restaurant on the first floor. Decor is super seventies and the dishes are Breton-inspired, designed by young chef Josselin Marie. This added detail makes it a worthy competitor for the other hotel giants in this glittering area.